River Ave. Blues » Spring Training Game Thread: Baseball Returns! Spring Training Game Thread: Baseball Returns! For the first time since October 2nd of last year, the Yankees will play a baseball game today. Not a meaningful one, of course, but a game nonetheless. The Yankees open the 2017 Grapefruit League schedule with a home game against the Phillies at renovated George M. Steinbrenner Field in Tampa this afternoon. Welcome back, baseball. I’ve missed you. 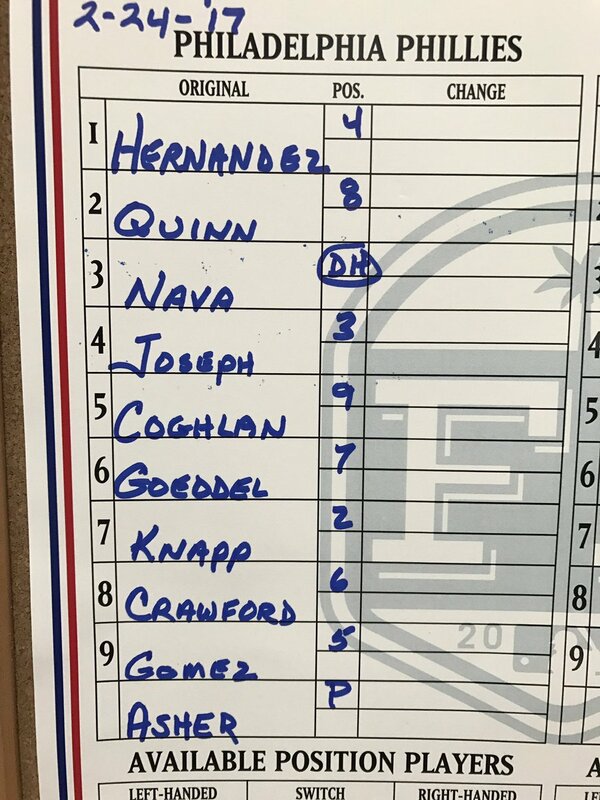 Available Pitchers: RHP Tyler Clippard, LHP Tommy Layne, RHP Luis Cessa, LHP Jordan Montgomery, and RHP Gio Gallegos are all expected to pitch today, assuming I’m reading the lineup card correctly. LHP Daniel Camarena, LHP Dietrich Enns, RHP Ben Heller, RHP Jonathan Holder, and LHP Joe Mantiply are also listed as available. Available Position Players: C Kyle Higashioka, 1B Ji-Man Choi, 2B Ruben Tejada, SS Gleyber Torres, 3B Miguel Andujar, LF Clint Frazier, CF Dustin Fowler, RF Rob Refsnyder, and DH Wilkin Castillo will be the second string off the bench. That’ll be fun. C Kellin Deglan, C Francisco Diaz, C Jorge Saez, SS Jorge Mateo, OF Billy McKinney, and UTIL Tyler Wade are also available today. The internet tells me the weather in Tampa is pretty much perfect for baseball. Sunny and warm but not oppressively hot and humid. I want to go to there. This afternoon’s game will begin a little after 1pm ET and you can watch on YES locally and both MLB Network and MLB.tv nationally. There’s also the FOX Sports Go app. Over the last few years MLB.tv blackout rules have not applied during Spring Training, and hopefully that is still the case. Enjoy the game, folks.